Should you use lasers to "fix" your skin? There's a lot you can do in the comfort of your own home to ensure your skin is as healthy and radiant as it can be. 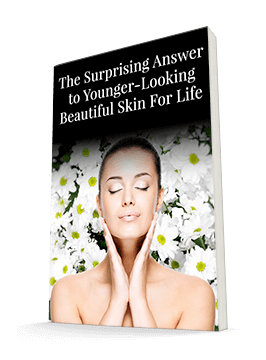 But there are also factors that are outside of our control that affect your skin. And damage done before we knew better can begin showing up as we age. Some of these issues can still be effectively treated through healthy lifestyle choices and topical solutions. But others are more stubborn. Fortunately, technology is advancing to the point that you can address more and more of these situations successfully. 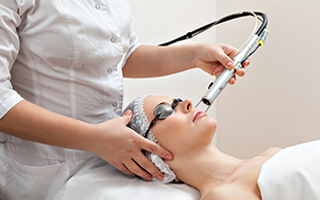 One of the more powerful tools dermatologists have at their disposal is the laser. Laser treatments can affect everything from hair follicles to birthmarks to wrinkles and acne scarring. And, as the technology progresses, lasers are becoming much more specialized, reducing the potential for side effects as well as allowing different tools to be combined to reduce downtime. While one laser technique may be helpful for removing unwanted hair and another for reducing acne scars, skilled dermatologists can now perform all of these procedures in one visit. That way you only have to let your skin recover once. As lasers have become more specialized, they've also become more effective and safe. Because they're so focused on one task, they cause less trauma to surrounding skin. However, it's important to remember that the laser is still only as effective as the person wielding it. Laser treatments must be performed by trained, skilled medical professionals. If you have a skin issue that could benefit from laser treatment, it's essential that you find a doctor who has experience treating your specific condition. You also should seek out a doctor who has experience with multiple types of laser treatments and devices to ensure that he or she can customize your care. There are enough laser techniques today that you should be mindful of a practitioner who takes a one-size-fits-all approach. Laser treatment isn't for everyone. And whether you're considering laser treatment or not, you need to be sure to keep your skin protected from damage, particularly UV damage. Not only does UV damage contribute to the issues many laser treatments are intended to correct, it can actually prevent you from being eligible for treatment. Most lasers should not be used on skin that's recently been exposed to UV radiation. If you do use a laser treatment, wearing SPF will help protect your skin in the future. You don't want to have gone through the treatment for nothing. You also should be sure to follow your doctor's instructions precisely after your treatment to ensure you get the best possible outcome and minimize the risk of complications. Even with today's techniques, laser-treated skin is still vulnerable after the procedure. I recognize that laser treatment isn't a good option for everyone. That's why I continue to encourage all of us to make choices every day to protect and enhance our skin.